You can do it either way. As DC I encourage the WM to stay standing until the toast to the Met Grand Master is concluded. We then all sit down, and only those below the rank of LGR stand for the next one to Met officers. This speeds up the process and is appreciated by brethren with back or knee problems who don't want to keep bobbing up and down. Regardless of what you do thereafter, I'd recommend sitting after the loyal toast in respect of the monarch. Thanks brethren, I agree that we should sit after the queen, but still not sure if we should sit after GM, I,m then happy to stay standing for Grand lodge- PGM- Provincial officers. Why not break them down into logical groups?- Queen, GM/GO, ProvGM/ProvDepGM/etc, WM etc. The Order of Athelstan has the fastest toast-taking going. Loyal Toast, then sit; all other toasts taken one after another standing with no speeches; sit for Commemoration. Toasts over in less than 5 minutes! Another short-cut in Craft etc., after the GM, is 'Rulers Supreme and Subordinate' which covers Grand Lodge/PGM/Province. That can really only be done if the senior Brother present agrees - which most will do as it saves popping up and down. The shortest toasting I've seen is in our Mark lodge, some of the members of which (not me) are so senior that no-one dares to argue. We do the Queen and the GM, then the WM and the Visitors. The WM is toasted by saying "The Master" and any response longer than "Ta" is considered too long. Visitors are told that they may respond if they wish but they'll never be invited back. There is no fire at all and the whole lot gets done in 5 minutes. I think the only stipulation is that there is to be no fire if non-masons are present. Guidance when non-masons are present is given in your UGLE booklet Information for the Guidance of Members of the Craft, in the section headed 'Non-Masons at After-Proceedings' and in other sections to which that one refers. But you do fire 'The Queen and the Craft'. Apparently the question was raised in Grand Lodge in 1953 and resolved that if it was the custom of a lodge to give fire to toasts generally, then it should be given also to 'The Queen and the Craft'. I've just searched my library for the reference and when I find it, I'll get back here. I was thinking of all those Orders where it is just 'The Queen'. You can’t fire a queen: it’s hereditary! A paper came around regarding giving toasts along with fire when nonmasons are present. 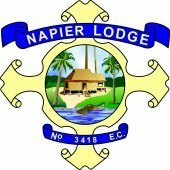 My lodge does allow ladies to join us at our festive board. The paper stated that it was up to each lodge to decide how they want to deal with this. when you consider that we have ladies serving us at the festive board, they get to hear and see all, so why not our wives, partners etc. My lodge has rejected the idea. No toast are to be given when the waiting staff are in the dining room. This should be down to your DoC. Blimey! As a DC I'd expect a rocketing if the toasts and "Fire" were being done with the waiting staff watching on. And quite rightly so. The Grand Lodge edict on this subject, dated 13 December 1995, is contained in the section 'Non-Masons at After-Proceedings' in the UGLE booklet Information for the Guidance of Members of the Craft. Briefly, fire is not permitted when non-masons are present - and that is an edict of Grand Lodge - whatever members of a lodge may think, even 'senior' ones! All are subject to the rules of Grand Lodge. Serving staff might be in the next room, but the door should ALWAYS be closed during the toasts!